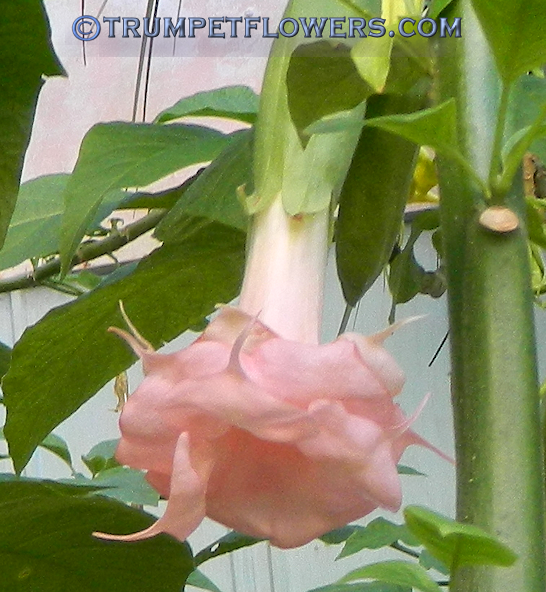 Brugmansia Lizzy is a beautiful pink double to triple bloom. Breeding line for Lizzy is Rubirosa X The Chief. 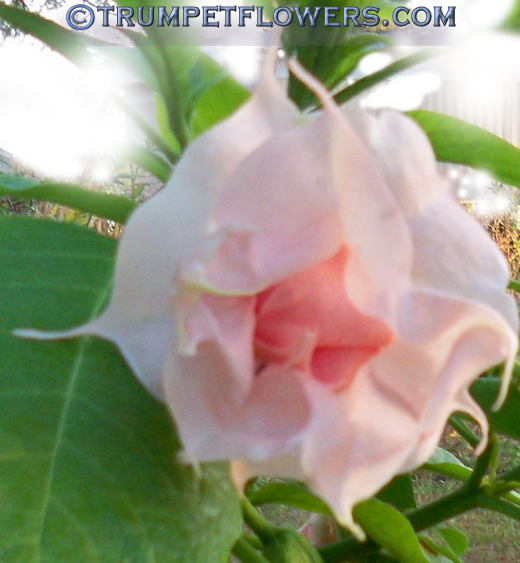 Lizzy was created by Liz Fichtl and published in 2009. 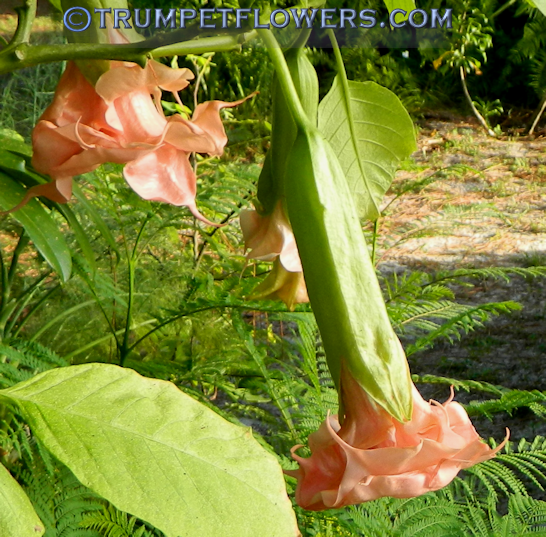 Angel Trumpet Lizzy on the first day of February, 2014. 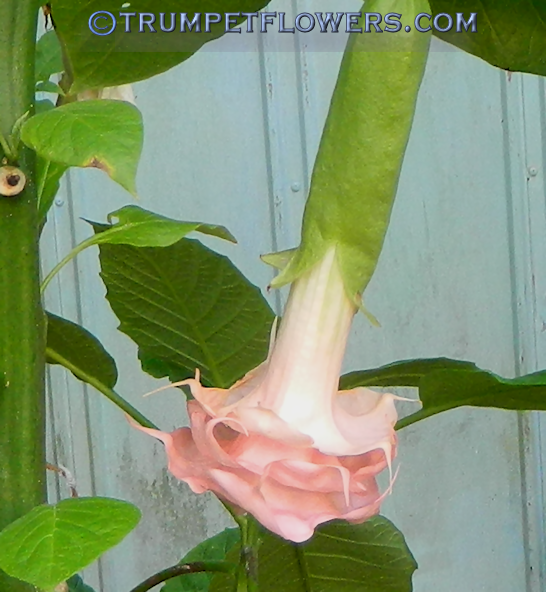 Brugmansia Lizzy is not one of the large brugmansia. 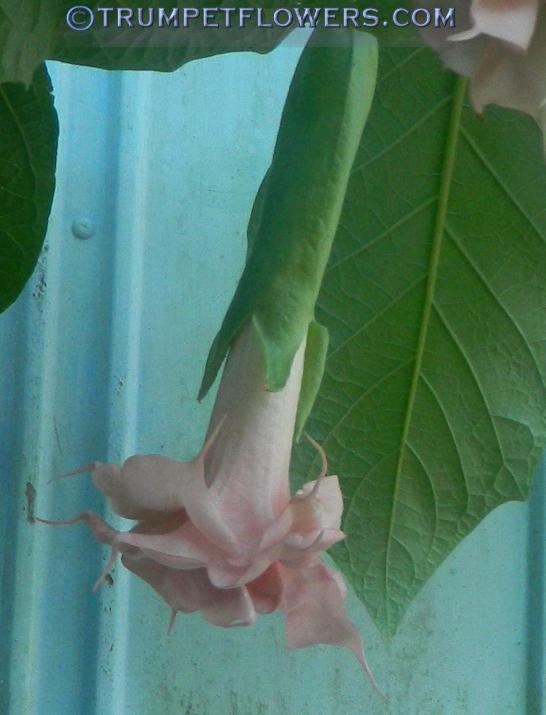 In a 15 gallon pot, she has reached about 6 feet and is about 3 years old. 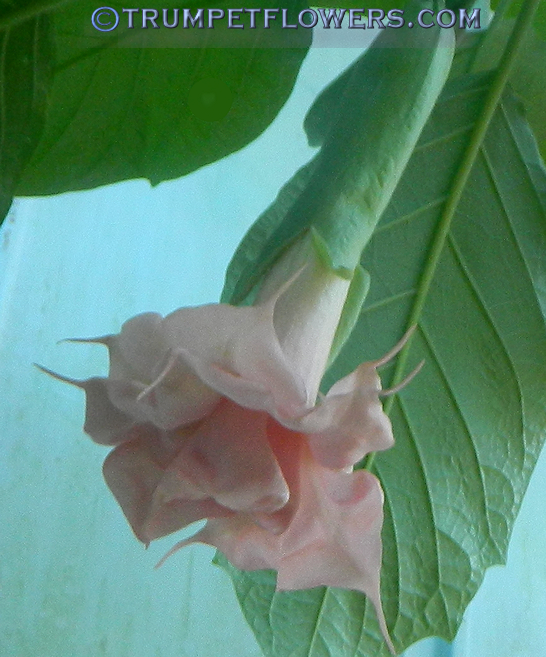 This entry was posted on October 17th, 2012 and is filed under Brugmansia Gallery.